We met six week old little Ngoc yesterday. The reason for the meeting was to deliver Ngoc some much needed formula as she is an abandoned baby at the local hospital. 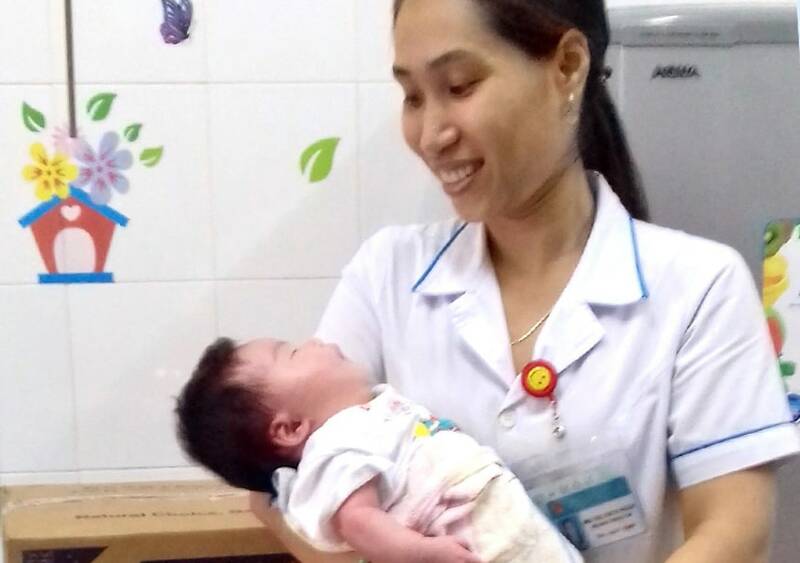 She is healthy and being well cared for by the staff at the hospital but will soon move to an orphanage in Danang where we hope and pray she will be adopted into a loving family. Ngoc was one of many abandoned babies that we met yesterday, the others were already at the orphanage that we delivered milk to. We are happy to be able to help these little babies with milk formula at this critical time in their lives. The local hospitals and orphanages welcome the donation of good quality formula milk as it is very expensive and they already operate on limited funds.